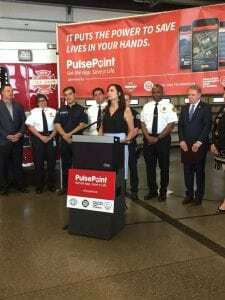 Today, The Keller Group joined our client, Medic One Foundation and the Seattle Fire Department (SFD) as they announced the launch of PulsePoint, a free life-saving mobile app. 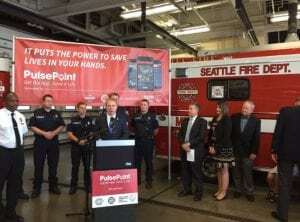 The Seattle Fire Department is the first agency to launch PulsePoint in King County and hopes to recruit 15,000 PulsePoint citizen responders. If you aren’t familiar with PulsePoint, PulsePoint is like an AMBER alert for sudden cardiac arrest victims. 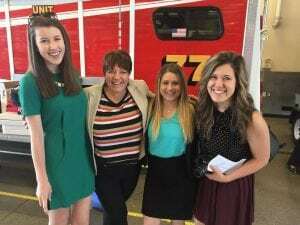 It uses location-based technology to alert citizens to a sudden cardiac arrest in their immediate vicinity so that they can start CPR in the critical life-saving minutes before first responders arrive. Director, Dr. Michael Sayre, SFD Medical Director, Heather Kelley, sudden cardiac arrest survivor, and Kelsey Camp, 2016 President of the Employees Community Fund of Boeing also shared SFD’s rollout plan for the app and highlighted the impact it will have on saving lives.